One Plus 6T is out and it is super fast and snappier than any smartphone available in the market right now. With their insane software optimization and high specs, we're sure that it'll outperform any other smartphone (not with big margin). One Plus 6T comes with Oxygen OS which is close to Stock Android and so many games will feel great while using on One Plus 6T. Here are the best games for One Plus 6T. 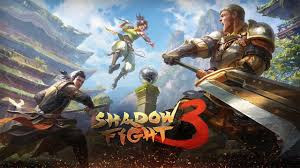 Successor of the legendary "Shadow Fight 2" game! Shadow Fight 3 is a heavy game which introduces you to a tale behind the fight. The weapons are deadly in comparison to Shadow Fight 2. It comes with modern 3D graphics, realistic physics and animations to give users a wonderful experience. This game comprises of a big world map to travel across it and every places has its own stories which are full of suspense and thrill. If you'd played Shadow Fight 2, then this game is the one which you must have in your One Plus 6T. 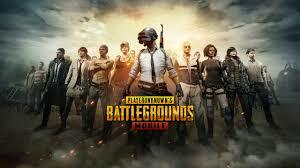 Well, admit it or not, but PUBG Mobile has been the best smartphone game since the day it was launched. PUBG is not just a game, it is Battle Royale. The minimum recommended specs for this game is 2 GB RAM with Android 5.1.1, so it is obvious that it isn't going to lag in your One Plus 6T. You can team up with your friends, travel across the map (which is quite big) and fight with the enemies with real weapons. The real joy of this game is that you fight with the real person and not with the bots (as in other games), so you won't get bored anyway as you've to plan differently every time. Sniper Fury is one of the most underrated and one of the best FPS games. Sniper Fury comes with amazing 3D graphics that make this the best game for FPS. You'll have to use your 3D sniper shooting game skills against soldiers, vehicles & more. The game controls is too simple and easy to control but you've to be of another level to master the sniping skills. With Sniper Fury, you can join CLAN with other top game players and can trade, chat & share tips with your clan partners. 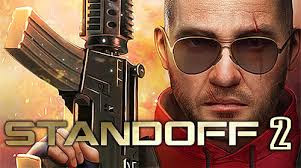 This game is brought to you by Gameloft, so expectations with this game were very high when I was downloading this game and after the download, it stood up on my expectation. You must have a look at it at least once. Even though this game is paid among the best games, you must have it in your smartphone. 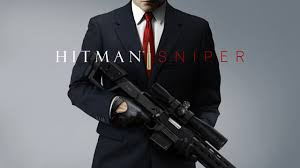 From being a normal human to becoming the ULTIMATE SILENT ASSASSIN, this game will take you through the special twists and turns. The gameplay is so good and there are no lags experienced with this game (even in low specs Android smartphones). There are more than 150 missions with 10 different contracts to let you improve your skills for the perfect assassination as you uncover secrets and subterfuges. This game is integrated with Google Play Games to help you check out your ranks in the leaderboards. Standoff 2 is a successor of the successful game Standoff, presented by Axlebolt. If compared with another high rated multiplayer games, this game is very much optimized and light in weight, so you must have this game in your One Plus 6T, if you get time from PUBG ;). In this game, everything is fully destructible, i.e. you can destroy anything. Creative Destruction is a new sandbox survival mobile game that features the utmost fun of building and firing. You will land on 4*4 km (4 square km of area) map with 13 different enchanted lands and in order to win the match, you must survive a 100 player deathmatch. In a game, you'll be racing against the clock to avoid snowstorm, enemies' bullets, and ultimately death and that's why you need great skills to survive for the whole match. Had you ever fought a war on a ship? It's obviously a big NO! Well, you can experience it here. 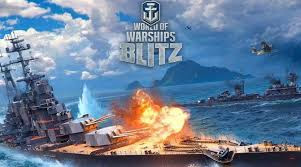 World of Warships Blitz is real time multiplayer battles on the high sea to command your naval vessel, destroy the enemies in an intense fight. World of Warships Blitz is a free to play mobile MMO action navy battleship strategy and third person shooter game by Wargaming. It is a mobile version of an award winning online multiplayer World of Warships Blitz for PC. There are no timers, no energy bars and fuel. You can play as much as you want without worried about all those mentioned stuffs. More description will feel like the promotion. So, you should download this game from the Google Play Store to experience the intensity of this game. Had I left any awesome games? Do let me know in the comment box below. Share it with your friends who are going to buy One Plus 6T. So, you made an Android/iOS application but as you are a student or a person who can't afford money for advertising. Of course, I'm right because that's the only reason why you landed on this page. Well, everyone is looking for a cheap yet powerful advertising network which should be profitable. Today I'm going to share you some amazing tips to boost your apps download on both Android as well as iOS platform. 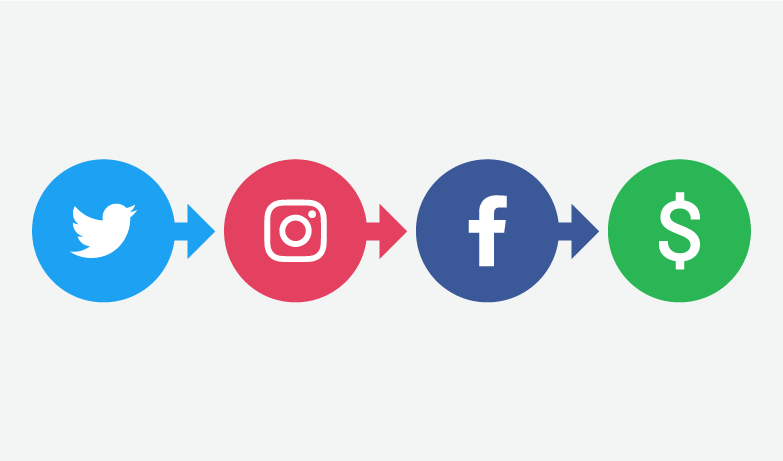 Nowadays, our data is open to everyone and with the increase of social media popularity, it is not going to stop anytime sooner. 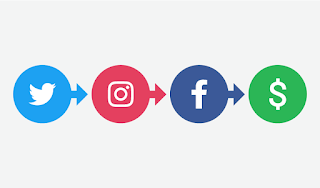 One of the best example of it is Facebook, Instagram, WhatsApp and Google. What we search on Google, we get an advertisement on Facebook related to it. Even, if we talk about some product on the WhatsApp, we start getting ads for the same. It clearly means that everyone is tracking us. Many people complain about data tracking but what I do is using their algorithm for my benefits. P.S.- I don't have any apps but my colleagues have, so I've tried these on their apps! It is the most important step in order to boost your app downloads. 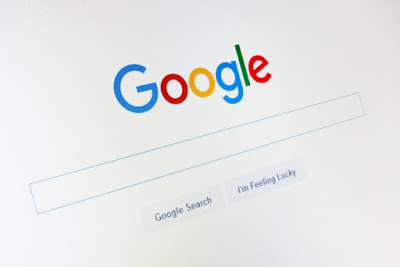 Google is tracking you and your activity on their search engine. So it is obvious that you're going to get advertisement related your app title. For example, consider that you've an application which is related to PUBG, so you can search many stuffs which is related to PUBG on the Google search engine and after some time you'll see the ads on the Facebook on PUBG (if there are any), and then you can share your app links on the advertisement's comment box. You will also get to see many posts related to PUBG on your news feed. We all know Instagram's parent company is Facebook. So whatever you'll search on Instagram will obviously be saved to Facebook server and you'll many stuffs related to it on Facebook. Till now, we can't share any link on Instagram post. That's why it'll be better for us to search on Instagram and share our app links on the Facebook post. Like Instagram, WhatsApp's parent company is Facebook only. Having a long discussion on the niche or topic related to your application will definitely help Facebook to target the ads which will be most beneficial for you. 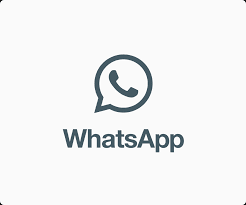 Believe me, what WhatsApp can do, no other social media apps can do for you because WhatsApp is one of the main source of users data which Facebook use to target ads. If it would have been false, then imagine the main reason behind providing the billion dollar WhatsApp for free to all the users and that too without a single ad. It is the most effective point which should be in your list. 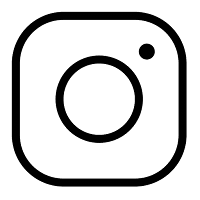 Before searching for #your_topic on the Instagram, you must put your application link in your Instagram bio. Now that you've done that let us go to another step. "compliment about the post. (then add) Hey, you've got a very good feeds, why don't you check one interesting apps for the same. Link to the app in the bio"
Repeat the same procedure for Facebook but share the app link in the comment section. Do let me know if it worked for you or not in the comment section below! Share these great steps with your friends. PDFs are the best way to read any awesome content by downloading it in our smartphone. We can download PDFs directly from the web but everything comes down to the PDF reader (and editor). Sometimes, we want to edit the downloaded PDFs and in order to do that, we search for many apps on the Google Play to get the best one. Useful Instagram Settings You Must Know! Here are the best PDF reader (and editor) available to enhance your reading and editing experience. This app needs no introduction!!! Adobe Acrobat is the free application for viewing, signing and commenting on PDF documents. It works fine on every Android device fluently. We can view PDFs, Annotate PDFs, Share PDFs through this application. It is also capable in reading scanned documents, store and printing files. In case, your PDF files are stored in your Dropbox or Google Drive cloud storage, you can easily connect your Adobe account to your Dropbox or Google Drive account to access all the PDFs in the Adobe Acrobat Reader. Xodo is an all-in-one PDF reader and PDF annotator/editor. With Xodo, we can read, annotate, sign and share PDFs and fill in PDFs forms. Also, we can sync PDFs with Google Drive, Dropbox and OneDrive. We can annotate the PDFs in real time and add our PDF to Xodo connect & invite people to view our PDF (like we do in Google Drive). Foxit is an easy-to-use PDF reader which allows you to view, annotate and protect PDF files on Android devices while on the go. Unlike other PDF readers, this app comes with ConnectedPDF to enhance the user experience. ConnectedPDF is a leading edge technology that powers document intelligence, security, and collaboration services for PDF files. This PDF reader is 100% compliant with your PDF ecosystem, lightweight, fast, and available in multi-language. As of now, it supports 12 different international languages. You can organize PDF pages, edit document properties, insert audio & video to PDF (but it requires subscription). In order to try all the premium features, you can have a 7-day free trial. It is the best because of its features and compatibility in low end Android devices. With over 1.3 Billion downloads on the Google Play Store, WPS office is all-in-one complete free office suite on Android mobile and tablet, integrates all office word processor functions: Word, PDF, Presentation, Spreadsheet, Memo and Docs Scanner in one application, and fully compatible with Microsoft Word, Excel, PowerPoint, Google Doc and Adobe PDF format. You can convert all office docs into PDF, scan paper docs to PDFs or scan images using mobile camera and then convert it into PDF. There are tons of features available in this application, just download it and have fun :)! Polaris Office is a smarter way to deal with your documents. Polaris Office Suite is compatible with MS Word, MS Excel, MS PowerPoint and Adobe Acrobat. Polaris Office comes with a support of 18 global languages including English, French, Arabic, Japanese, etc. For those who are worried about the storage to keep all the PDF files, Polaris Drive is a default cloud for PDFs but you can also store your files to Google Drive, Dropbox, OneDrive. There are many features available in Polaris Office but you have to upgrade to the Smart Plan ($3.99/month & $39.99/year) or the Pro Plan ($5.99/month & $59.99/year) and you can also remove ads by paying $2.99. The most trusted application for viewing PDFs and DOC file. With MS Word, your Office moves with you. Whether you are blogger, writer, journalist, columnist, student, or a project manager working on documentation, it's as as you want it to be. You can view PDF with PDF reader while traveling, before bedtime, or wherever you want. You can customize your document, letter, resume, or notes you way with robust tools that enable you to accomplish your best writing with the best format options. You need to have Android KitKat (or above) with at least 1 GB RAM (or above) in your smartphone in order work in MS Word without any lag or problems. OfficeSuite lets you easily view, edit, and create Word, Excel, and PowerPoint documents, and perform advanced PDF operations. The integrated file manager, chat client with document exchanging capabilities and a multitude of other handy tools make OfficeSuite the most feature-rich mobile office solution available on Android. How Samsung Galaxy Note 9 Is Similar To Galaxy Note 8? One of my favorite feature of this app is, text-to-speech recognition support PDF and DOCS. OfficeSuite supports more than 40 languages globally making it capable to provide spell checker service to its users and I really found it handy. Share it with your friends and let me know in the comments below about your favorite PDF Reader and Editor.